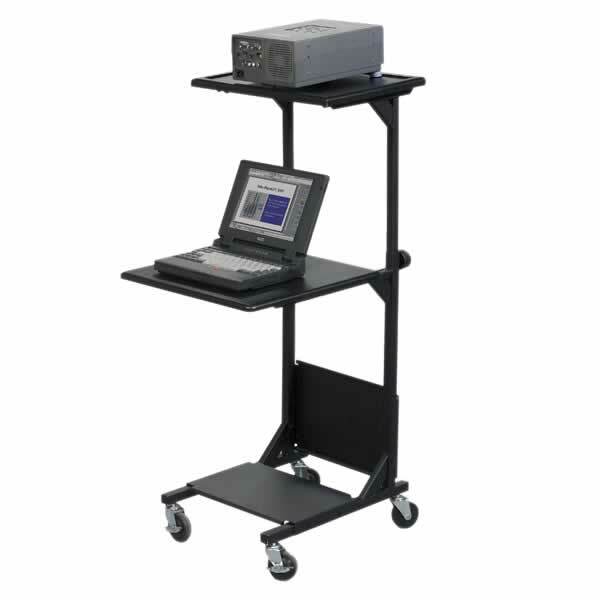 This Balt 81052 PBL AV cart portable AV projector cart gives you several options for delivering presentations. As a projector cart, laptop stand or use both simultaneously. The PBL AV Cart is great for use in lectures, classroom video and PowerPoint presentations, and anywhere a portable projector stand is needed. With a small footprint, this basic unit stands ready for use without taking up much room. Open layout and design make cable management a breeze. Slide-out laptop tray gives the presenter more room for presentations. Download AV Cart PDF here.